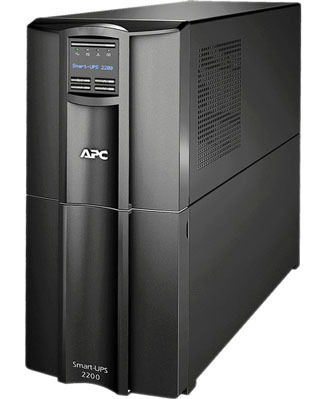 The Smart-UPS 2200VA LCD 120V from APC provides power to your important computer components in the event of an electrical outage. 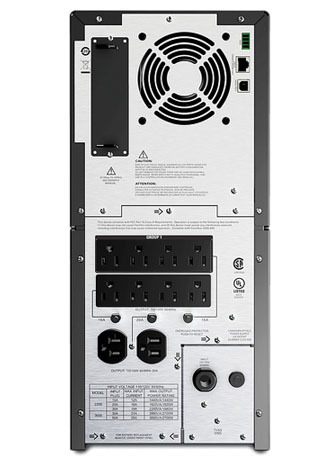 The Uninterruptible Power Supply (UPS) contains a battery which continues to power computers, monitors and other components if the electricity is cut from them. An LCD status display provides information including remaining battery life, load capacity, and event notices. The battery is hot-swappable and easy to replace. An audible alarm alerts you of events like power outage and low battery. Enables centralized management via APC InfraStruXure Central. Use any Home Automation network to monitor and control the S20 through its RS-232 serial port.